A major abdominal wall, umbilical or incisional hernia can generally be diagnosed using a physical examination. The patient is asked by the doctor to tense the abdominal musculature and to cough or to bear down so that the protrusion point can be easily palpated and the precise location of the hernia can be determined. 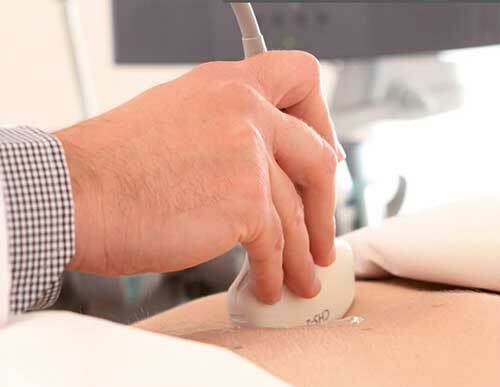 An ultrasound examination is necessary particularly for smaller hernias that cannot be detected at first glance. Ultrasound can also be used to check whether the bowel segments in the hernia sac are well perfused and the bowel contents can be moved further.